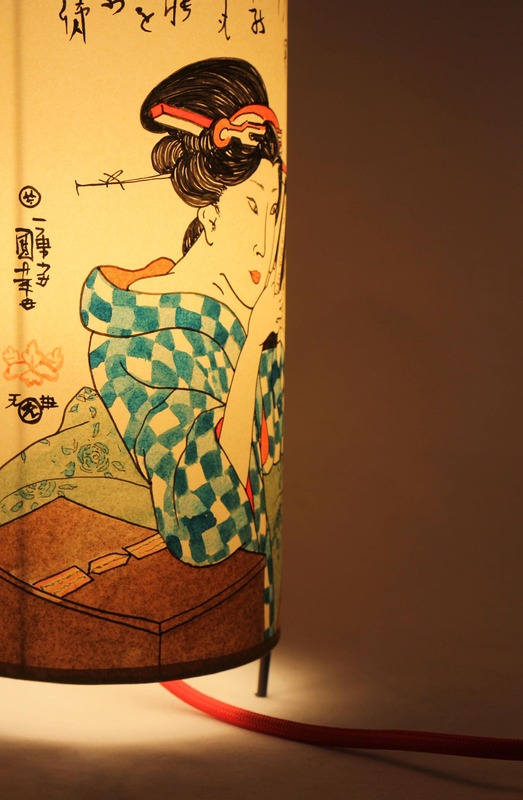 Light up your chill-out corner and bring a bit of an oriental atmosphere to your relaxing space. 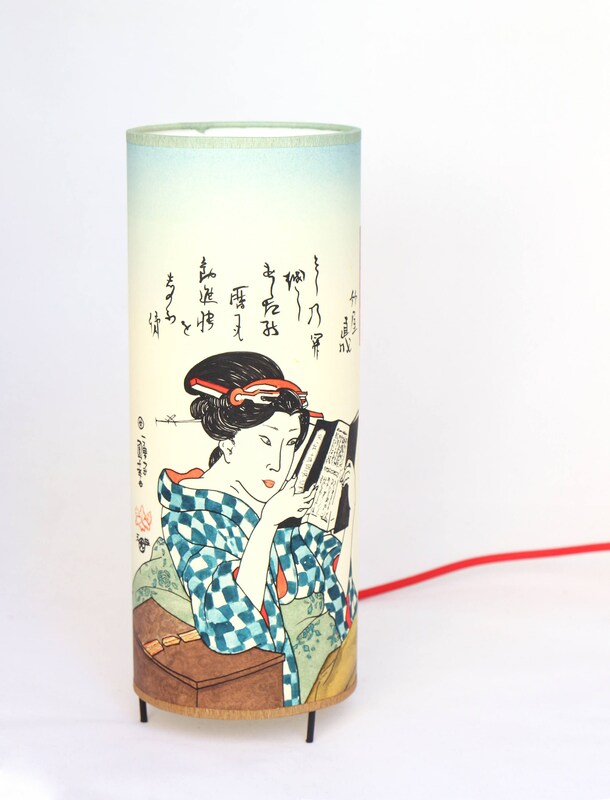 This table lamp is one of the pieces of our exclusive japanese collection. It is totally handmade. 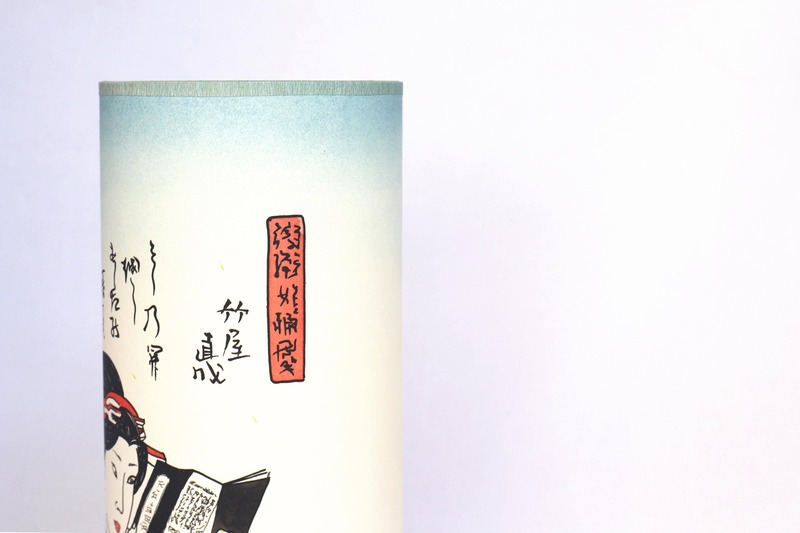 We have drawn it inspired in the old engravings in Japan. 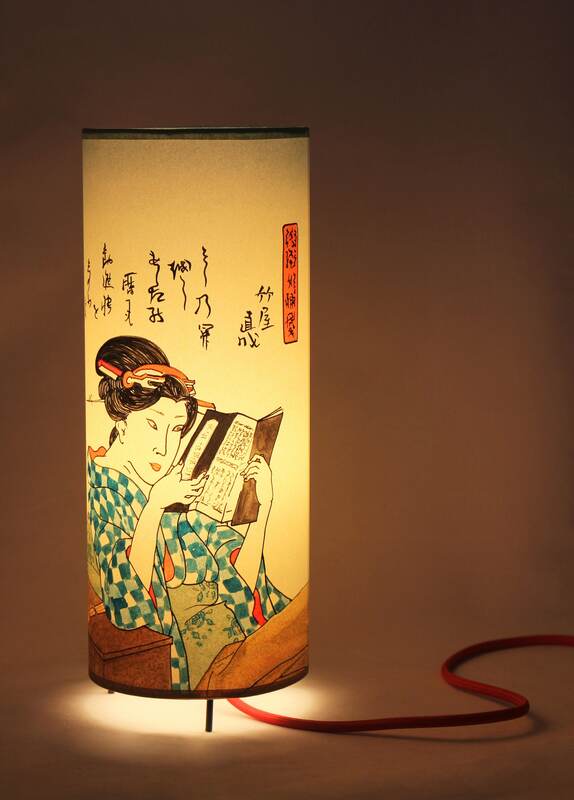 This table lamp is a version of the famous engraving "Woman reading" of the great artist Kuniyoshi Utagawa (1797-1861). We've used different tchnichs: Basicly watercolours: aquarels to let the light come across and acrylics for black lines. The paper is a pergamin paper kind that gives a beautiful and special warm light that will look great on a reading corner, on a table, next to an armchair, in the bedroom, on a bar giving warmness and anywhere you can imagin!! 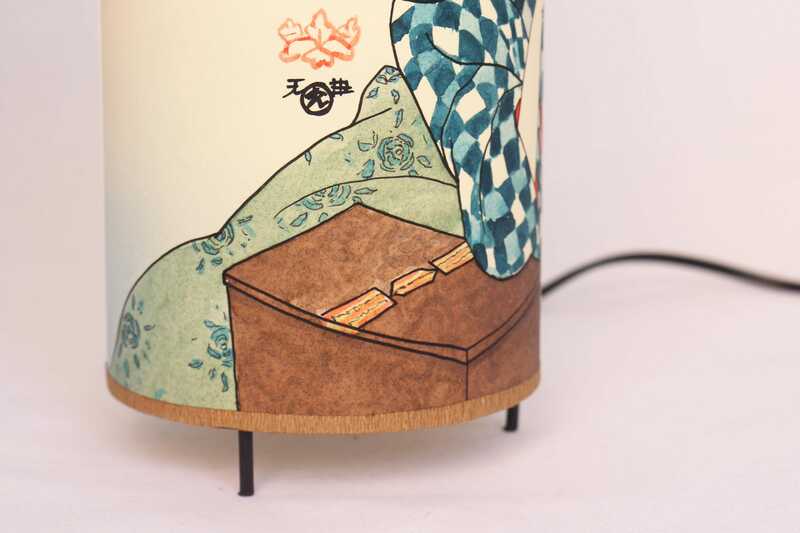 This table lamp is 11'81 inches high (30cm) and 4'72 inches of diameter (12 cm). The structure is made of metal enamelled with a protector antioxyd white smalt. It comes with a 41'34 inches (1'5m) with its swich. You can use a 40 watts max. Bulb wich is not included. We recomend using a low consume bulb. We ship it with a safe packaging wich will protect your lamp and will arrive safe anywhere you want. This design will be created and sent within 3-5 working days. ¡Thanks for visiting my page!